Operation Smiling Buddha was the assigned code name for India’s first nuclear weapons explosion on May 18th, 1974. 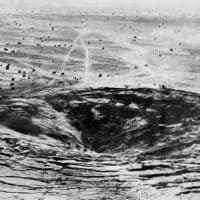 India declared that this test was simply a “peaceful nuclear explosion” or PNE, yet it was later discovered that this was actually a part of a nuclear weapons program. The sharp backlash by the international community stemmed in part from the fact that India was not a member of the UN Security Council. After the first nuclear bomb was exploded by the United States in 1945, other nations – the USSR, Great Britain, France, and China –- soon followed suit and developed their own nuclear weapons capabilities. These five nuclear powers soon realized the potentially devastating effects of nuclear weapons development and pushed for the Non-Proliferation Treaty (NPT) which went into effect in 1970. This treaty ensured that the countries which already have nuclear weapon capabilities would not transfer that technology to non-nuclear nations. However, several nations felt as though this put them at a global disadvantage. India was already wary about its often-strained relationship with China and felt it needed nuclear weapons for its security. India’s 1974 test changed how the world dealt with nuclear materials and led to much stricter procedures and safeguards. In addition to tighter oversight by Congress, the “London Club” was created to implement guidelines for nuclear exports and nuclear-related exports. The U.S. also initiated the landmark 1978 Nuclear Non-Proliferation Act, which renegotiated the U.S.’s bilateral agreements with nations concerning nuclear exports. Dean Rust, Staff Assistant to Arms Control and Disarmament Agency (ACDA) Director Fred Iklé from 1974-1976, discusses the impact the India test had on U.S. policy and how, ultimately, concerns over Pakistan’s acquisition of nuclear weapons took a back seat to its role in helping the U.S. in Afghanistan. Charles William Maynes, who worked in the International Organization Bureau from 1962-1965, reflects on the early days of the NPT. Myron B. Kratzer, Deputy Assistant Secretary of the Bureau of Oceans and International and Environmental and Scientific Affairs (OES) in 1975, expresses how he helped to reestablish the nuclear fuel trade to India for its reactors after the 1974 test. Charles Stuart Kennedy conducted all three interviews: Dean Rust, beginning December 2006; Charles Maynes, beginning August 1998; and Myron Kratzer, beginning September 1998. You can read about the 1998 nuclear tests conducted by India and Pakistan. Q: What was the state of nuclear nonproliferation in ’74 when you were there? RUST: Between 1945, when the United States developed nuclear weapons, and through 1970, that is 25 years, five countries had become nuclear weapons states. The Soviets followed the U.S., then the British, the French and then the Chinese in ’64. The nuclear Non-Proliferation Treaty [NPT] was negotiated in the mid 60’s. It came into force in 1970. That treaty drew a line in the sand. It was based on the assumption that proliferation would contribute to instability and increase the risk of nuclear war. It said, “Let’s stop proliferation where we are.” Under the treaty, states that didn’t have weapons pledged not to get them, and to accept international inspections. Countries that had nuclear weapons (the Five) pledged not to transfer the possession of nuclear weapons to others and not to assist others in the acquisition of nuclear weapons; they also agreed to try to negotiate an end to the nuclear arms race and to reduce their own nuclear arsenals. So that is where we were when the Indians conducted a nuclear test in 1974. This test was kind of a rude awakening because people thought that by that time, i.e. after the NPT had entered into force, most countries had accepted the notion that it was not a good idea for proliferation to go beyond the Five. Q: Was India a signatory to the NPT? RUST: No. And the fact is that in 1970, when the treaty entered into force, not everybody embraced it initially. Fifty or sixty states joined. 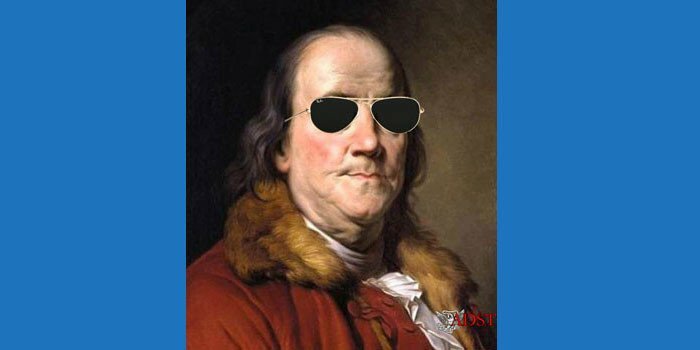 Many countries like the Indians said, “Hey, this is a discriminatory treaty!…It allows some states to keep their weapons, but it requires others who join it to forswear their acquisition. We are not going to be party to that.” Of course, the truth is many countries did join the treaty despite its discriminatory nature, while others wanted to keep the nuclear option open. The Chinese, a neighbor of India, had nuclear weapons. And of course India always followed a somewhat independent path in its foreign policy. MAYNES: Under the Non-Proliferation Treaty, China is grandfathered in as a nuclear power, and India, which is a country of equal potential and almost the same population, and which regards China as a rival or even an enemy, is denied the right to become a nuclear power. So if you get India to sign the Non-Proliferation Treaty, what are you going to do to reassure India that it will not be attacked by China? That was the issue. How do you get India to sign unless you give them this assurance, and can we give them this assurance? And that was the debate. There was no resolution because to give India that assurance is a gigantic, gigantic step, and yet not to give it to them, under the framework of the argument which we were advancing, was to prevent any forward movement, because they wouldn’t sign the Non-Proliferation Treaty – why should they? So it’s basically the argument you see today. It’s the same argument, and what we did was basically put that argument in a side box for 20 years so that we could actually bring the treaty forward and get other states to sign it. We still had the India problem, but tucked down here, which has now come out of the box. Q: How did we view the Chinese at that time? RUST: “The U.S. and Soviets want to rule the world.” Chinese propaganda suggested that nuclear proliferation would be a positive development as it would break U.S.-Soviet hegemony. In reality, I suspect the Chinese were more cautious about proliferation after getting their own bomb in 1964. But you would never know that from their stated positions. In the long run, China joined the NPT (in 1991) and changed its position considerably, although it’s generally accepted that Pakistan’s nuclear weapons program was aided by China during the 1980’s…. In the 60s and 70s we didn’t put [the Israelis] aside. The double standard criticism of setting the Israelis to one side is more pertinent to the 80s, 90s and today. But the bottom line is that since around 1980 we have essentially just gone through the motions in encouraging NPT adherence for not only Israel, but also for India and Pakistan. They have always been the three hardest cases; they said from the beginning that they weren’t going to give up the right to acquire their own weapons, and thus they weren’t going to join the treaty. In principle, we continue to maintain U.S. support for universal NPT adherence, i.e. all states joining the Treaty, while recognizing there is little near-term prospect of action by Israel, India and Pakistan. They are the only three that have never joined the treaty. Today, there are 188 parties to the NPT. North Korea had joined it but has withdrawn. As far as hypocrisy is concerned, U.S. nonproliferation diplomacy has labored under that charge from the beginning since we are encouraging others to forego something we believe remains essential to our own security. There’s also a little truth to the charge in regards to Israel, but it’s a fact of life under the regime generally for the U.S. Thankfully, there are many non-nuclear weapon state NPT parties who agree generally with the U.S. on the importance of the NPT and whose diplomacy is not hypocritical on these matters. Q: While you were doing this staff assistant work, I take it you found it from your perspective a harmonious relationship between George Vest at PM (the Bureau of Politico-Military Affairs) and Fred Iklé at ACDA. RUST: While ACDA was an independent agency, it was small and not cabinet level. ACDA Directors could be influential only if they worked collegially with senior levels at State and NSC (National Security Council). They would exercise their independence only when the stakes appeared to be worth it. So there were times when Fred took different positions than George on some key issues, but by and large, particularly at the Assistant Secretary and assistant director levels, good working relationships were the norm. Iklé did take a pretty strong stand on the importance of preventing the spread of enrichment and reprocessing technology. The 1974 Indian test awakened people to this technology issue; enrichment and reprocessing are parts of the civil nuclear fuel cycle, but are also critical to producing fissile material for weapons. So there is that old dichotomy of nuclear energy. It can have peaceful applications but it can also have horrific military applications. Some of these far-reaching policies that Iklé was pushing occasionally ran into some problems with our European allies and with Japan. But PM hung in there with ACDA and Congress was also pushing for strong action. So the “clientitis” that generally pervades the regional bureaus of State was generally overcome. In general, the mid-1970s saw the beginning of the broadening of the nuclear nonproliferation regime beyond the NPT and IAEA [International Atomic Energy Agency]. The latter was formed in 1957, but its responsibilities significantly expanded once the NPT entered into force as all nonnuclear parties were required by the NPT to negotiation safeguards agreements with the IAEA. A couple other things happened during Iklé’s tenure that was quite significant from a nonproliferation perspective. In July or August 1974, we negotiated agreements with Israel and Egypt to provide them nuclear power reactors. This happened just before Nixon resigned. These agreements contained strong nonproliferation controls, some of which are still discussed today, for example in the case of Russia’s sale of a power reactor to Iran. That said, the sales never came to fruition, because the continued aftermath of the May 1974 Indian test caused U.S. policy to tighten beyond those conditions that were to apply to the sales to Egypt and Israel. The other major development was the creation of the Nuclear Suppliers Group, known at that time as the London Club. Initially, there were 7 states; today there are 45 and it continues serving as an effective nonproliferation tool. The first 18 months of meetings were held in general secrecy, due to concern about criticism from developing countries about a supplier’s cartel. The purpose of the group was to establish common rules so that recipients couldn’t play one supplier off another, which had the effect of commercial considerations trumping nonproliferation when it comes to selling nuclear material and equipment. Q: How about Congress. Did it have a different agenda than ACDA? RUST: Not on proliferation. Those interested in proliferation in the Congress were John Glenn [D-OH] in the Senate, and Alan Cranston [D-CA], but less so. In the House you had a guy named Jonathan Bingaman from New York and a couple others. These Members got very involved after the India test of ’74. There was concern that some U.S. supplies to India had been used to produce the plutonium for its ’74 peaceful nuclear explosion. So yes, Congress became involved in a big way in tightening U.S. nuclear export controls. The laws passed in the 1970’s not only upgraded U.S. controls on nuclear exports, but they also called for certain punitive measures, e.g. cutoff of economic and security assistance, against other countries that engaged in proliferation acts such as a nuclear explosion or acquisition of enrichment or reprocessing equipment. Congress was an ally of ACDA; at that time it believed strongly in the importance of an independent Agency to promote arms control and nonproliferation. Like ACDA, the Congress was always pushing the rest of the Executive branch to take strong stands on these issues. Q: Did your office in ACDA look for aggressive sellers of nuclear producing equipment? I am thinking particularly of France and Germany? RUST: Yes. We would get reports that would indicate, for example, that a firm in Germany was talking to the Brazilians about selling them sensitive nuclear technology. Whenever that happened we would go to the German government and point out the risks of selling these guys reprocessing and enrichment technology. At that time Brazil was not in the NPT nor was Argentina. We were tracking about 10-12 countries; we called them the “dirty dozen” at one time. Q: You mentioned the IAEA earlier. These are the inspectors. They got the Nobel Prize in 2005, but where did they stand in the 1970’s? RUST: Let me go back a little. The origins of the IAEA date to the 1950s. Dwight Eisenhower proposed in 1953 his Atoms for Peace program. The essence of this program was to encourage limited commerce among nations for peaceful nuclear applications, but only under international inspections. That was the International Atomic Energy Agency. The IAEA statute was agreed upon in ’57. It was given a dual responsibility: to promote the so-called peaceful nuclear atom as well as to verify its peaceful use. It slowly developed a safeguard system. By the time the NPT came along in 1970, the treaty negotiators decided to require all the non-nuclear states that joined the NPT to negotiate a safeguards agreement with the IAEA to help verify the NPT undertaking not to acquire nuclear weapons. So by the mid-70s, the IAEA was negotiating safeguards agreements with every NPT party. The safeguard system was still in the rudimentary stage, but it was beginning to grow at that time. The United States was putting a lot of money into helping develop the technology that would provide a reasonable assurance that countries were using nuclear facilities only for peaceful purposes, and not trying to divert these facilities for military operations. KRATZER: First of all, the Indian nuclear explosion took place in 1974, which said to people that proliferation was a real and not just a theoretical problem. It had sort of receded into the background because nothing had happened since the French and Chinese explosions, and while they weren’t welcome, they were permanent members of the [UN] Security Council. The Indian nuclear explosion, though it happened shortly before I got there, turned things around at the Congressional and senior policy levels…. A major issue that came up…was the issue of fuel for India. When the Indian nuclear explosion took place in 1974, we suspended shipments of nuclear fuel to them until they agreed to cease making bombs employing our fuel. They already had so agreed, but people wanted a certain icing on the cake. [Secretary of State Henry] Kissinger suspended the nuclear fuel agreements that we had to fuel their first nuclear power reactor until they gave us further assurances that they wouldn’t use it in bombs. They gave us those assurances, and the State Department’s position was that we should go ahead and resume fuel shipments. I was the officer largely responsible for making that decision, although, obviously, it got the support and concurrences it needed in the Department. By that time the Nuclear Regulatory Commission had come into being, and it was given — probably initially as almost a drafting error in the drafting of the legislation that created the Nuclear Regulatory Commission — the export licensing authority that the Atomic Energy Commission previously had. This was a crucial development because the NRC was an independent regulatory body to which the administration couldn’t say, “We want to export this, so approve it.” They had a procedure that had to be met before an export license could be granted, which involved the opportunity for public comment and then public intervention in a sort of judicial proceeding. This was the first export license in which there was public intervention. This led to a hearing before the NRC for a period of weeks. I testified for about a day, about eight hours spread over a couple of days. They finally did issue the license to India. All licenses to India after that were turned down. In fact, some of them actually became a matter of Congressional action, and I believe they were either turned down or approved subject to conditions. The agreement with India has now expired but even before it expired, we discontinued exporting nuclear fuel to India. There were all sorts of things going on, mostly related to nuclear proliferation. That was really the focal point of my tour as Deputy Assistant Secretary. Q: What were you doing? What was your role? RUST: I was helping to develop the legislation that the administration proposed. I analyzed counterproposals that the Hill came up with. After the landmark 1978 Nuclear Non-Proliferation Act (NNPA) was passed, I worked primarily on negotiations with recipients of U.S. nuclear exports. The new law required that all new agreements with other governments contain stronger U.S. controls to help guard against diversion and that all existing agreements be updated with the same controls. State led the negotiations with DOE [Department of Energy] and ACDA also involved. We were required to go back and renegotiate our existing bilateral arrangements with Australia, Canada, European states, Japan, Sweden, and even with states with smaller nuclear programs such as Venezuela, Colombia, and Norway. I was the ACDA representative on all of those teams. After the conclusion of negotiations, ACDA had the statutory responsibility to prepare a nuclear proliferation assessment statement for each of these agreements. It was submitted to the President and to the Congress. The first such agreement after the NNPA was with Australia. I wrote the assessment statement for the Australian agreement and the next 15 or 20 statements that followed over the next 5-7 years. I became very conversant with the standards that apply to U.S. nuclear exports both in terms of bilateral arrangements that we negotiated with our recipient states, as well as the domestic licensing requirements that were implemented by the Nuclear Regulatory Commission. During this time period, I was also involved in nuclear supplier group activities….This multilateral group got started under Ford and U.S. support was continued into the Carter Administration. I did not serve on the delegation to these meetings, but I was the primary action person within the Nonproliferation Bureau developing ACDA’s views on the various proposals that were on the table….Finally, I also helped out on NPT work such as demarches to non-parties urging them to join the Treaty….Today the number stands at 188. Only India, Israel and Pakistan have never joined the Treaty. Q: As you were renegotiating these agreements, were there any particular countries or any particular issues that caused concern or conflict? RUST: The primary concern of most states was the degree of intrusion that the United States insisted on. Bilateral guarantees of peaceful use only and the application of IAEA safeguards were not a problem. 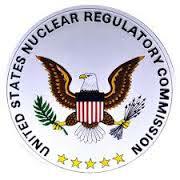 But our law required us to seek additional controls over the reactors and fuel we exported. Once the fuel was used in the reactor, the recipient could not alter or reprocess that fuel without seeking U.S. permission. Certain types of nuclear material required U.S. permission before it could be stored. A country needed our consent if it wished to pull out of a reactor some U.S. supplied fuel rods for experimental purposes, or wished to transfer their fuel to another country. So most of the difficulties we encountered had to do with U.S. consent rights of this type. The other big issue during the Carter Administration in this area dealt with the way in which we exercised our consent rights, particularly for countries like Japan, Switzerland, and Spain. All three of these countries were taking reactor fuel from their power reactors and sending it somewhere for reprocessing. They planned to use the separated plutonium as fuel in their civil reactors. Because it was U.S. fuel, they couldn’t do that without our consent. And we were reluctant to give that consent because administration policy had raised questions about both the economic and nonproliferation consequences of widespread reprocessing. Most of these requests for reprocessing were ultimately approved, but only after long delays and the attachment of many conditions — a process that led to strains in our relations with these countries. Coterminous with these operational activities, the U.S. sponsored a multilateral international nuclear fuel cycle evaluation designed to look at the future of the nuclear fuel cycle and its relationship to proliferation. It was launched in the fall of 1977 and went on for a little over two years. ACDA hired a bunch of nuclear technical specialists; 45-50 nations participated. The bottom line of the evaluation was fairly balanced and gave everybody what they wanted. But it did greatly increase international awareness of the risks associated with the use of plutonium as civil fuel; some of its studies and work remain among the best international work ever done in this field. The Carter Administration never really resolved its differences with Japan and others on these questions. Regardless of how supportive a state was of the goal of nonproliferation, it wasn’t about to sacrifice its energy security over some vague notion that its use of plutonium would someday make it more likely that Libya, for example, would get the bomb. That said, economic factors have greatly delayed any widespread use of plutonium as fuel or of breeder reactors, which in the 1970’s were viewed as the next generation of large energy producing reactors and which would have produced even larger quantities of plutonium. We began to see some early clandestine efforts by Pakistan to acquire enrichment technology, which we judged at the time, would be used to produce highly enriched uranium for nuclear weapons. You recall that India conducted a nuclear test in 1974, and it seemed that Pakistan had immediately undertaken to acquire its own nuclear explosives. It turns out that a Pakistani, who worked for a Dutch-German-British consortium that was building a centrifuge enrichment plant in Europe, had stolen some design information. This information in turn led to secret Pakistani efforts to procure components for its own enrichment plant. The U.S, UK and others immediately set about trying to shut down this procurement network, or at least to make it more difficult to run. This resulted in an major expansion of U.S. nuclear export controls into the centrifuge enrichment area, including so-called dual-use items. For example, a machine tool might produce a normal industrial item, but you could also use some machine tools to produce specialized components for an enrichment plant. The late 1970’s saw a major expansion of export controls in the nuclear area, an effort that continues to this day. In addition to efforts to deny nuclear technology to Pakistan, we leaned on them diplomatically to shelve the enrichment program. Security and economic assistance was cutoff as a result of sanctions passed by the Congress. In 1979, the Soviets invaded Afghanistan; we needed Pakistan as a partner in supplying the Mujahedeen who were fighting the Soviets. 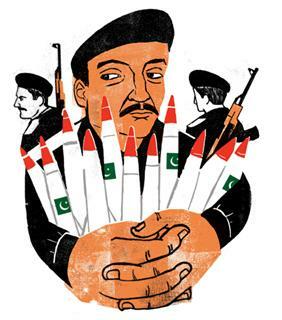 The result was a weakening of U.S. pressure on Pakistan for its nuclear proliferation activities. We had conflicting objectives, which of course was not the first nor would the last time U.S. nonproliferation objectives be compromised by other major U.S. national interests. When Reagan came to the Presidency in 1981, the Administration sought and obtained waiver authority from the Congress to resume economic and military assistance to Pakistan despite little to no restraint in Pakistan’s proliferation activity…. It’s interesting to note that major events have stimulated great leaps forward. In ’74, India’s nuclear test explosion led to the formation of the Nuclear Suppliers Group and to improvements in IAEA safeguards. The same thing occurred after the 1991 discovery of the Iraqi nuclear program.